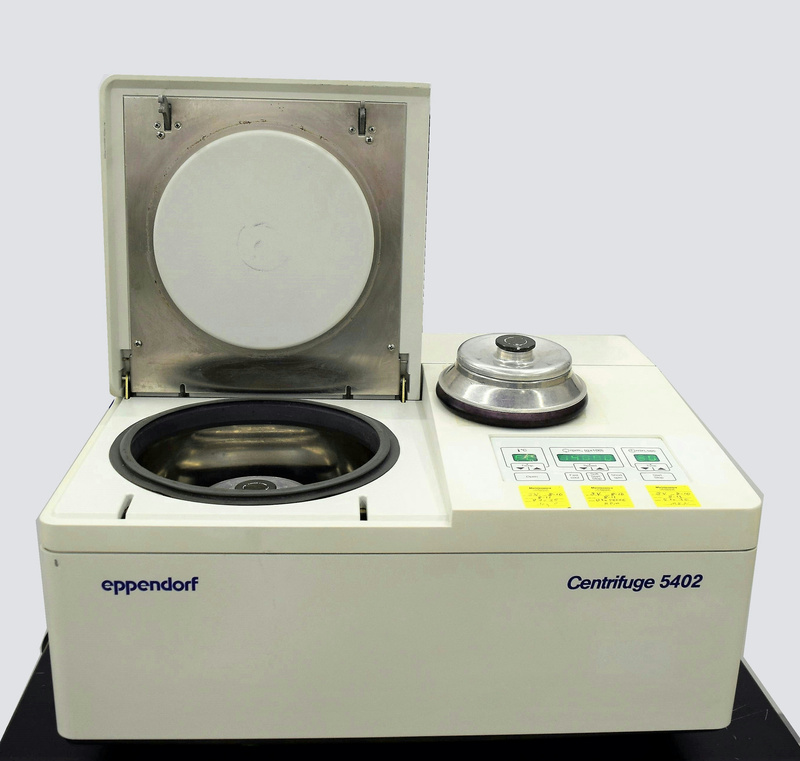 Eppendorf 5402 Refrigerated Centrifuge Benchtop 14000 RPM w/ Rotors Fast-Cool . New Life Scientific, Inc.
Our on-site New Life Scientific technicians confirmed that this centrifuge performs to factory specification of 14,000rpm. The fast cool option was tested and chilled properly to (-1°C). This centrifuge features a powerful maintenance-free motor and they accommodate a variety of rotors for unparalleled application versatility. This is like three centrifuges in one: a high capacity general purpose centrifuge for cell harvesting; a high-speed centrifuge for separating cell lysates; and a micro centrifuge for DNA precipitation.